Brought to you by The Improvisors. Part of the 2019 International Comedy Festival. 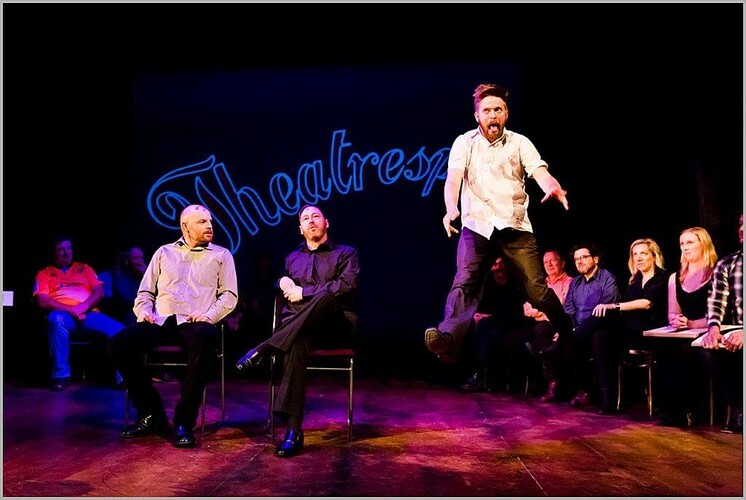 It wouldn’t be Sunday night without the family favourite improvised comedy – Theatresports. Each week Wellington’s professional improvisors go head to head, creating comedy scenes to win the Team title of Wellington’s funniest. The Millennials think its theirs by right and the Traditionals know that such baubles must be earned. This is designer comedy, pulled out of thin air, using only suggestions provided from the audience and the skills and comic invention of the performers. Theatresports delivers a once-in-alifetime experience every show. Not to be missed because not even the improvisors know what is going to happen.